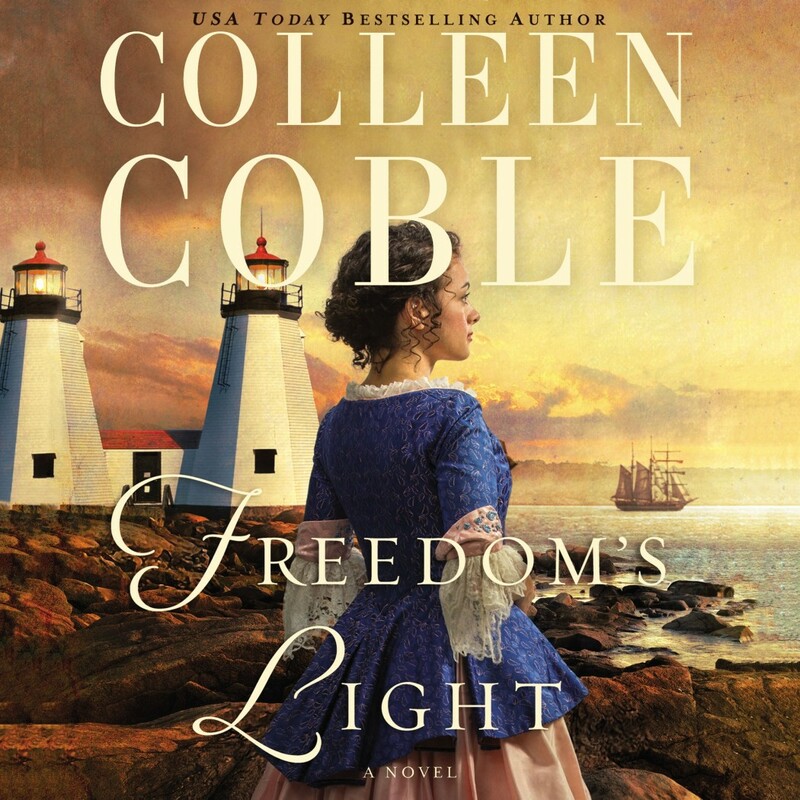 Freedom's Light | Colleen Coble | Audiobook Download - Christian audiobooks. Try us free. USA Today best-selling author Colleen Coble explores the mystery and the romance of the Revolutionary War. A young lighthouse keeper must navigate the dangerous waters of revolution and one man's obsession with her to find safe harbor with the sea captain she loves. Hannah Thomas believes she's escaped Galen Wright's evil intentions by marrying an older lighthouse keeper. Seemingly safe in faraway Massachusetts, her world is upended when John is killed in one of the first battles of the Revolutionary War. Hannah is allowed to continue the difficult task of tending the twin lighthouses in John's place, though she faces daily disapproval from John's family. She thinks her loneliness will subside when her younger sister arrives, but she finds Lydia's obsession with Galen only escalates the dangerous tides swirling around her.